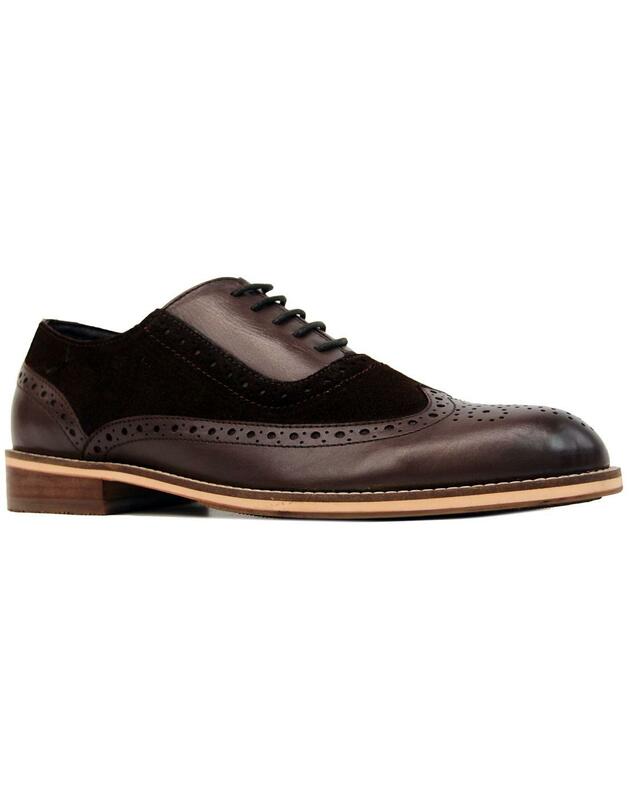 Paolo Vandini 'Saxby' Men's 1960s Mod Oxford Saddle brogues in brown. The classic brogue shoe silhouette with subtle Vintage burnished distressed leather upper complimented by soft suede panel. Intricate punched broguing and classic longwing detail add an Ivy League flair. The traditional closed Oxford lace fastening adds an air of Retro Country Heritage charm as does the wood effect block heel. Paolo Vandini 'Saxby' Brogue Shoes are a Mod footwear classic! Sure to enhance both formal and casual ensembles with the desired sophisticated and refined look! 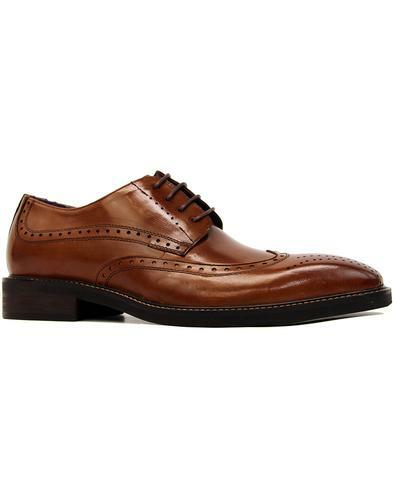 - Paolo Vandini 'Saxby' men's 60s mod Oxford saddle brogue shoes in brown. - Leather and suede combination upper. 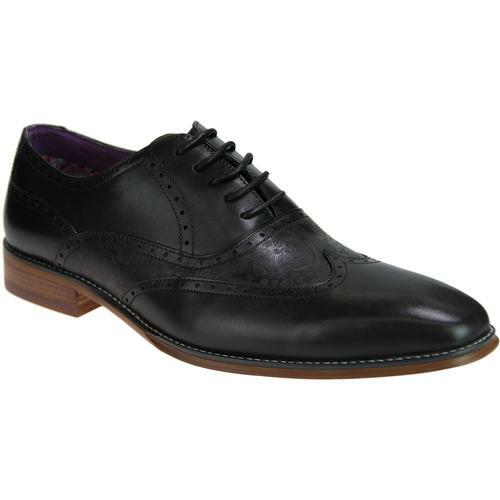 - SKU: 'Saxby' Oxford Saddle Brogues. Composition: Leather and suede upper, leather inner, other outsole.